The Future of Orthodontics and Braces! Ever wonder what it would be like if braces were eventually just little robots? Or if they would only take five minutes, as opposed to the years and years of adjustments. Many people wonder what their braces will be like if they have them for another four years, or what their teeth will look like in four years! The future of orthodontics could be a very inconsistent topic. 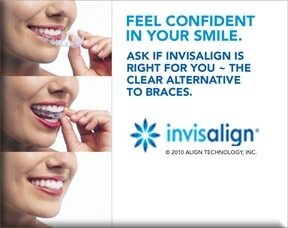 Many orthodontists and scientists believe the near future will use more of 3-D type of programming and alignment systems just to make every smile that much nicer. Often times, kids wonder if their braces will help them connect to the internet and help them get wifi/3g connection for their electronics. This is unfortunately still a myth but there is hope for the future. With new technology coming out as often as every day, who knows what the practice of orthodontics will look like in ten, fifteen and maybe even twenty years from now. One will only hope that we will be able to connect to wifi or use our braces to get cellular service. The future looks bright! Its time to be optimistic! Call Dr. Glaser with any questions or concerns!